In a scene full of big personalities, DJ Yoda is one of the biggest. Hip hop DJ and turntablist extraordinaire, Yoda has been chopping, screwing, cutting and gluing since the nineties, creating sonic odysseys unlike anything else. This Sunday he takes over Now Playing @6Music for a unique two hours of radio...but he needs your help. "The music I grew up on was definitely hip-hop and pop. There was a lot of sampling and scratching going on in this period of music, so I guess that's what inspired me to start DJing. Throughout the 90s I pretty much listened to nothing but rap music, but around 2000 (when hip-hop started a bad period for me) I started listening to, and playing out, more clubbier stuff. Not really so much house music; more like jungle, dancehall, whatever. I think in the last few years hip-hop has got really good again. People like Action Bronson, who is on my album, Kendrick Lamar, and Kanye West is always inspiring." If that doesn't get your mind whirring, how about these? * New hip hop acts that you think are the future of the genre, like Azealia Banks, ASAP Rocky and Angel Haze. When it comes down to it though, the playlist is yours - and DJ Yoda's - hands, so let us know what you think he should play. Leave your suggestions below, post them on our Facebook Page, tweet them to us and Yoda using #yoda6music, email us or add suggestions to our collaborative Spotify playlist. 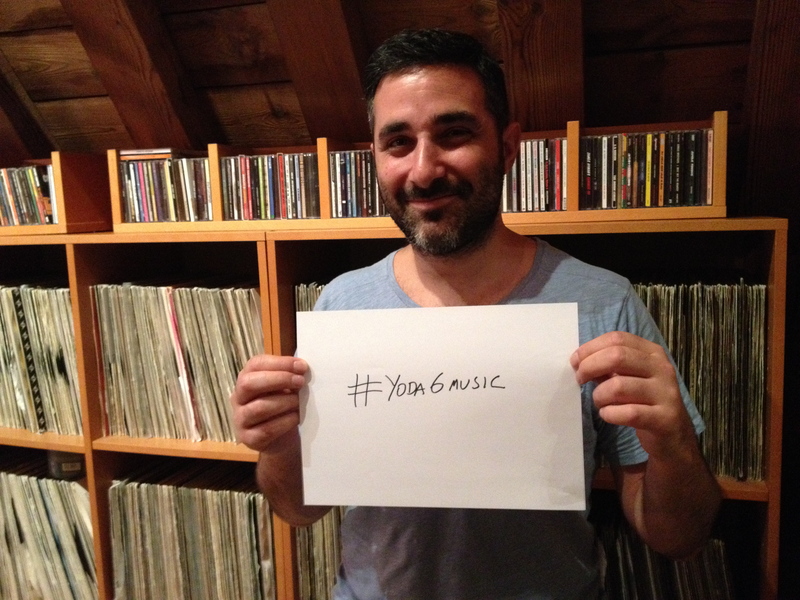 And remenber, if you're a DJ Yoda fan tune in 1800 GMT on Sunday. It's not often you hear new material from Prince, so when he debuted a brand new song - 'Rock N Roll Love Affair' - on US TV this week it's no wonder it was met with howls of delight online. The song - performed for chat show host Jimmy Kimmel - also marks the first time that the Purple one has ever allowed a performance to be uploaded to YouTube, a big shift from his previous stance on the subject. *His influences, from Sly & The Family Stone to Parliamant via Hendrix, Duke Ellington & Curtis Mayfield. *Influencees - perhaps Outkast, Lenny Kravitz or Pharrell Williams? *Collaborators - maybe you'd like to hear the Bangles, Chaka Khan or even Wendy & Lisa? It's up to you - to get involved leave your suggestions below, post them on our Facebook page, tweet them to us using #prince6music, email us or add suggestions to our collaborative Spotify playlist. 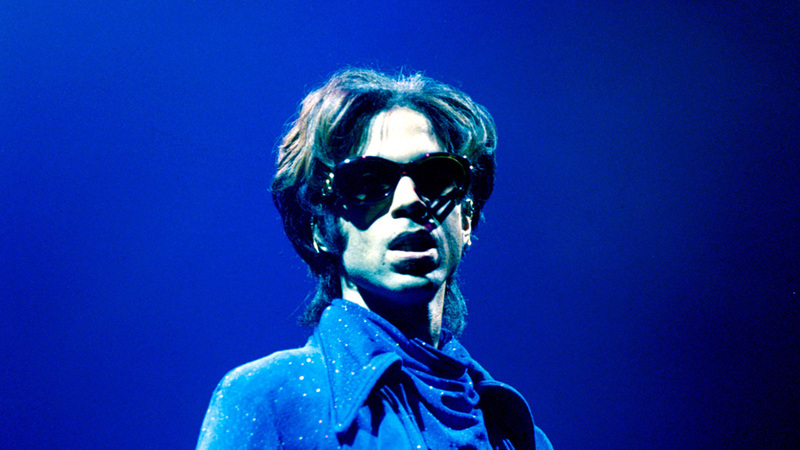 And remenber, if you're a Prince fan we'll be turning 6 Music purple from 1800 GMT on Sunday. Seven years and four albums into a career that has seen them become one of the key players in modern British indie, Mystery Jets are back home during a brief break in an exhaustive world tour, and we are delighted to be able to invite them to take over Now Playing this Sunday. They’ll be picking some of the music they love, but more importantly they need you to jog their memories with old favourites and pique their interest with future big-hitters that they can play on air. The Twickenham band - initially called The Misery Jets until frontman Blaine Harrison mis-wrote the name on a drum skin - have a rich back catalogue of their own music, plus a smattering of collaborations and a heap of influences that you could pick from. 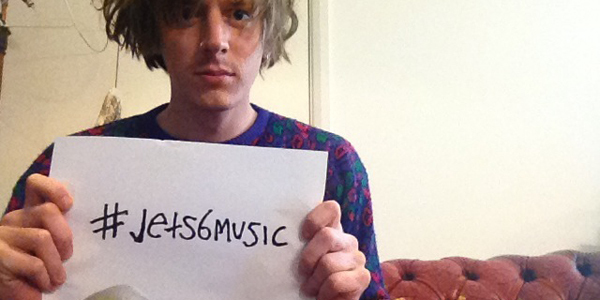 At the end of the day though, it's up to you and the Mystery Jets, so let them know what you think they should play by leaving a comment on this blog, commenting on our Facebook page, Tweeting us using #Jets6Music, sending us an email or adding a track to our collaborative Spotify playlist. The legendary and hugely influential Lou Reed is coming to BBC 6 Music this autumn, with a series of 12 eclectic programmes called Lou Reed’s New York Shuffle – and to celebrate the latest arrival to the 6 Music DJ roster we thought why not have a whole Now Playing dedicated to his music. His shows kick off on October 14, and as well as our show, they’ll be loads of other Lou Reed and Velvet Underground related content such as The First Time with John Cale, an interview with Lou on 6 Music News and a very special 6 Music video interpretation of Perfect Day. What could you add to the Ultimate Velvet Underground Playlist? It’s really all down to you. So let us know what you want Jon Hillcock – who will be in the chair as Tom is away – what you fancy by leaving a comment on this blog or our Facebook page, Tweet us using #Velvet6Music, send us an e-mail or drag a track onto our collaborative Spotify Playlist. And if you want to know what to expect when Lou Reed hit's the airwaves this weekend - here's a clip of him talking about James Blake.